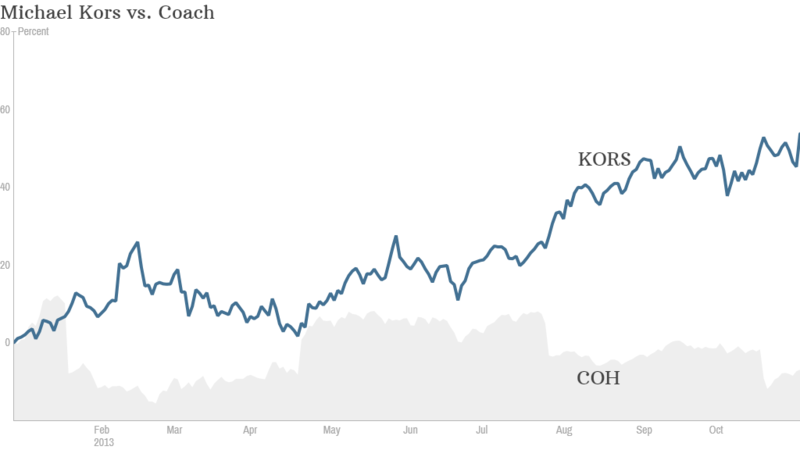 Click the chart to track shares of Michael Kors. Michael Kors knows how to make it work. And investors couldn't be happier. Sales at the designer's namesake company jumped 40% during the fiscal second quarter and handily beat Wall Street's expectations. The company's profit also exceeded forecasts. Shares of Michael Kors Holdings (KORS) rallied more than 6% Tuesday on the news, bringing this year's gains to over 55%. Since their stock market debut in December 2011, Michael Kors shares have nearly quadrupled. Last week, the company got the Wall Street equivalent of a well-reviewed runway show. The stock was added to the S&P 500. It's hard to find anything that's going wrong at the company right now. Comparable stores sales, a key measure for retailers, increased 23% in the quarter. Same-store sales at Kors have now increased for thirty straight quarters. European sales more than doubled compared to a year ago. During the company's earnings call Tuesday, Michael Kors CEO John Idol said the company is also aiming to do more in Europe. He said the company views some of its top competitors to be "two or three of the very largest global Italian and French luxury goods players." Sales were also up a healthy 31% in North America, driven by strength in accessories and watches. With momentum continuing into the holiday quarter, Michael Kors also boosted its outlook for the year. Michael Kors has been a standout in its category of affordable luxury, particularly in comparison to rival Coach (COH). Last month, Coach reported a profit that declined from a year earlier and sales that slipped and also fell short of analyst expectations. Shares of Coach are down 7% so far this year. "Coach was once hot because it was an aspirational brand, but not anymore," said Kristin Bentz, executive director at private equity firm PMG Venture Group. 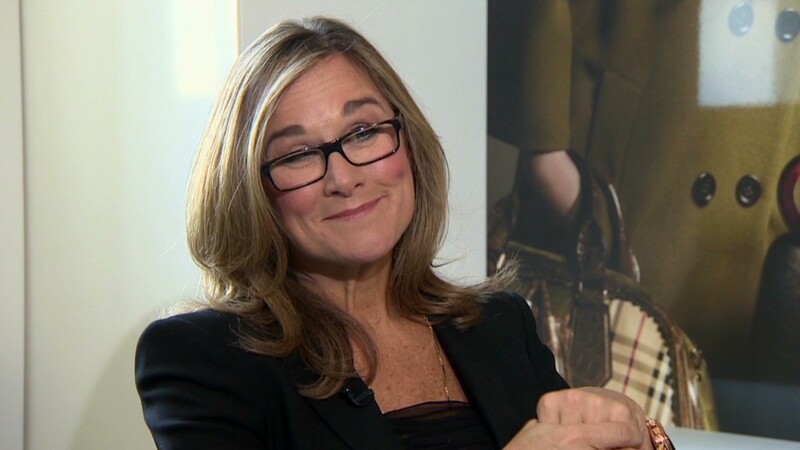 She noted that a big problem for Coach is that there is no person associated with the brand name like there is with Michael Kors, privately held Tory Burch and Ralph Lauren (RL). Omar Saad, a partner at ISI Group, added that while Kors is a luxury brand, many consumers are attracted to it because it's a "glamorous designer label" that sells items at reasonable prices. "The company is generating consumer excitement in a way we've never seen in the luxury accessories category," he said. Saad thinks that Michael Kors shares could easily go much higher. His price target on the stock is $100, up 25% from current levels. He also pointed out that some other global competitors, such as Zara's owner Inditex, H&M, and Uniqlo parent Fast Retailing have an average market value of $60 billion. The market value of Michael Kors is currently about $16 billion.